rocks, were little more than shanties. When the French moved to the West End in 1905, Italians purchased their church, St. Jean-Baptiste, at 1100 West Superior Street. The church, now called St. Peter’s, became the center of the community and helped change “The Glenn” to “Little Italy.” St. Peter’s remained a “personal parish,” not owned by the Catholic Diocese until 1967. In 1926 another St. Peter’s was constructed atop Point of Rocks at 818 West Third Street, east of the Darling Observatory, and the new church became the community’s center. The “upper” portion of Little Italy was also home to a variety of Scandinavian immigrants, and as the years went by fewer and fewer Duluthians of Italian descent remained there. As in other Duluth neighborhoods, the ethnicity of its residents became more and more homogenized. Today the area is known as Observation Hill, in commemoration of the former Darling Observatory, and in 2010 the Duluth Catholic Diocese closed St. Peter’s. 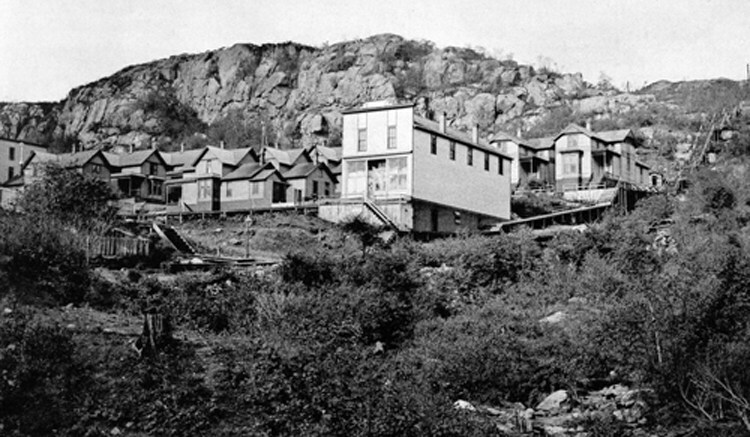 Meanwhile, the ramshackle housing of The Glenn was dismantled and its streets realigned. 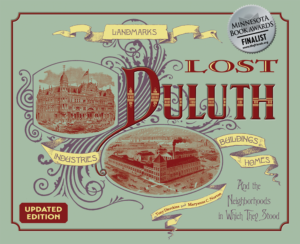 Ruins of foundations remain, including those of Duluth’s first water reservoir, which operated from 1883 to 1899. They can be seen rising from the hill above First Street between Tenth and Eleventh Avenues West.